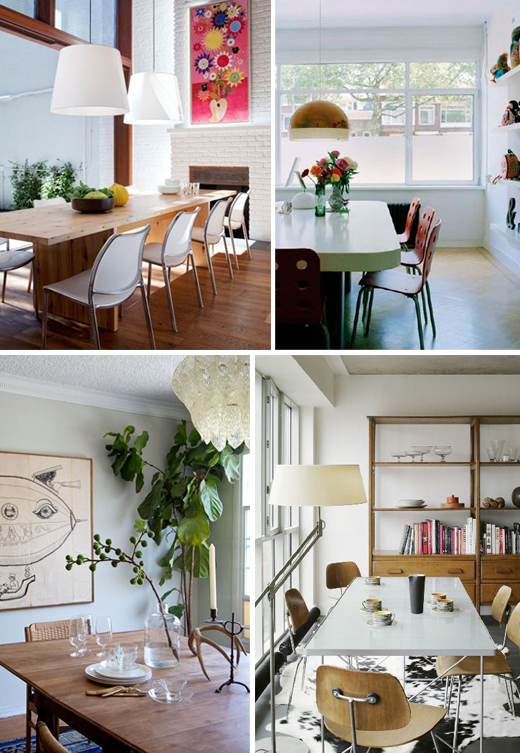 Starting off this week with a few dining rooms that caught my attention lately. I'm pretty sure that if I had a large dining table in my house I would have spent there most of my day. 1 comment on "Four: dining rooms"
I have a large dining table and I love it. And I love that unit in the fourth photo!